I started playing with images using different filters and plug-ins. 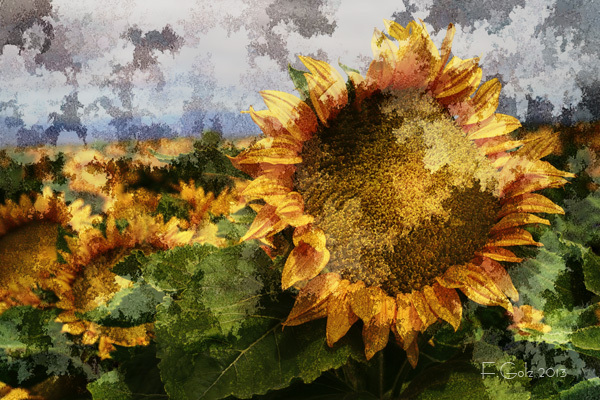 At the end I got this texture which I combined with my sunflower image. Enjoy and have a great week-end. 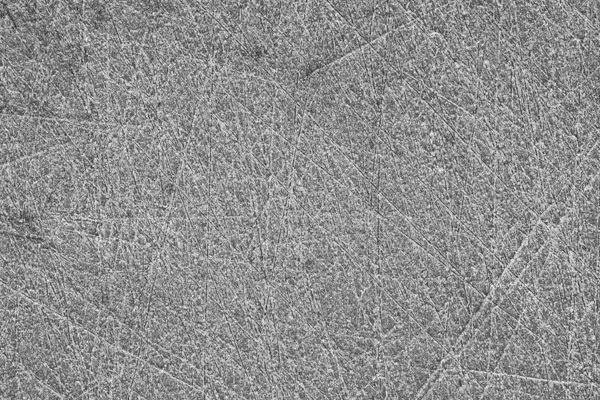 This image is also from the rim of a hat. 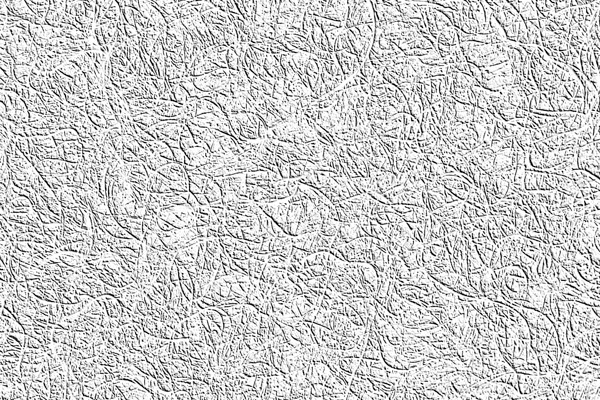 In addition to converting it to black and white and inverting the image I also used the “Emboss Filter.” I photographed recently all kinds of rocks and decided to see how this texture would influence this image. Enjoy and keep on photographing! 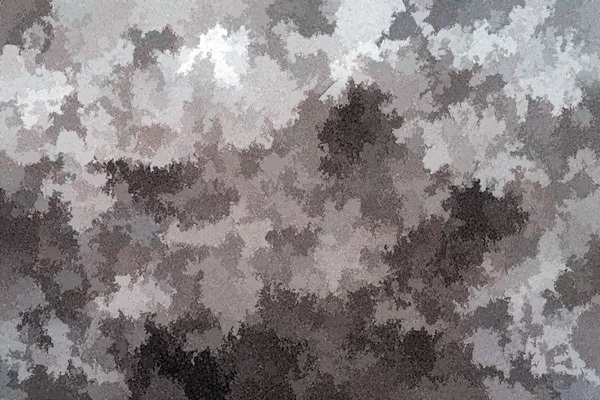 This texture is created from a small part of a stuffed animal. It is converted to black and white and also inverted. It created a beautiful effect on the following image. 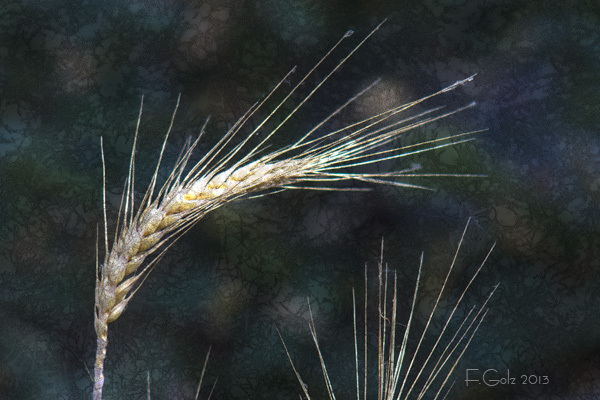 I photographed a small part of a black hat using my 100mm macro lens. 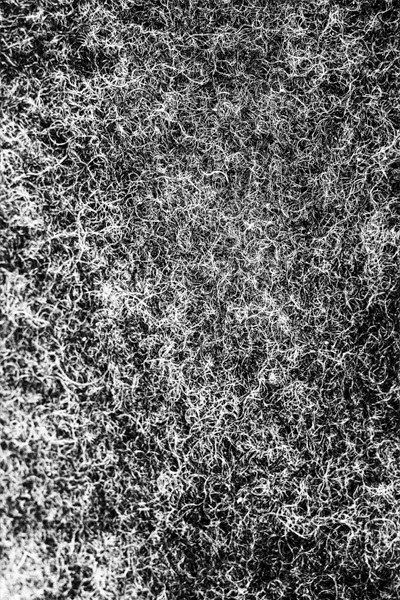 The image was converted to black and white and then inverted. 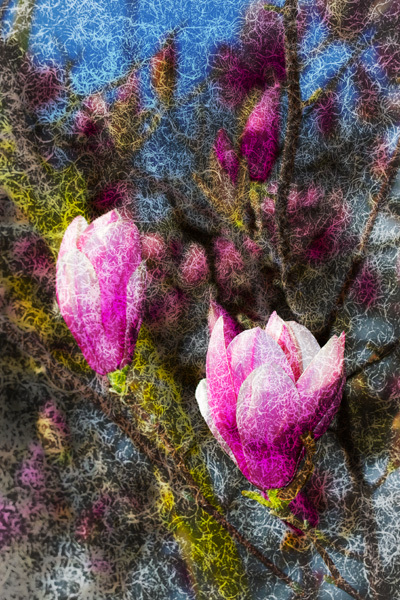 I applied this texture to a blooming magnolia tree which I photographed in the Spring. Enjoy and keep on photographing! This week I challenge you to photograph textures. 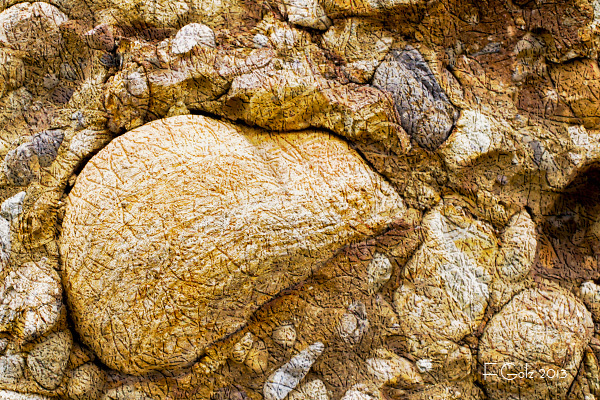 You can use almost anything to create a texture file like sand, rocks, concrete walls etc. 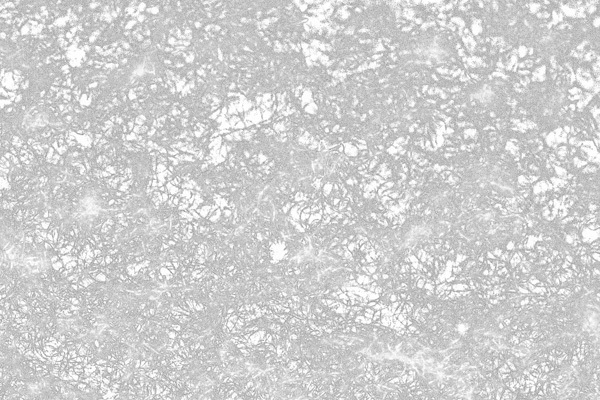 I also ask you to apply your new texture to an image. There are many tutorials on youtube that you can watch. I like this one. Go to http://www.youtube.com/watch?v=54hEQ62wHSw. As always, have fun! I photographed our old cutting board and changed the image to black and white. 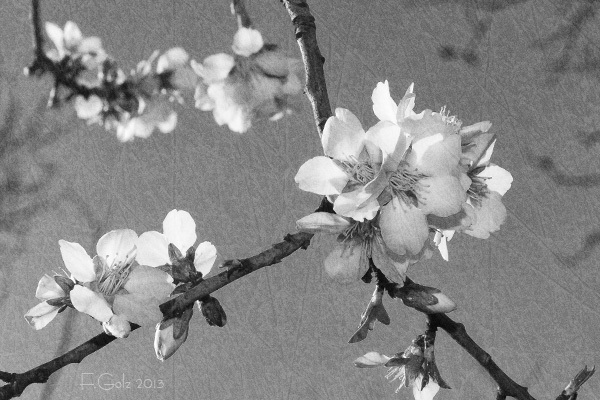 I applied the texture file to an image of blossoms that I took a while ago. Enjoy and keep working on this exercise. I composed this image very carefully. The largest items in the image are the green water melons. 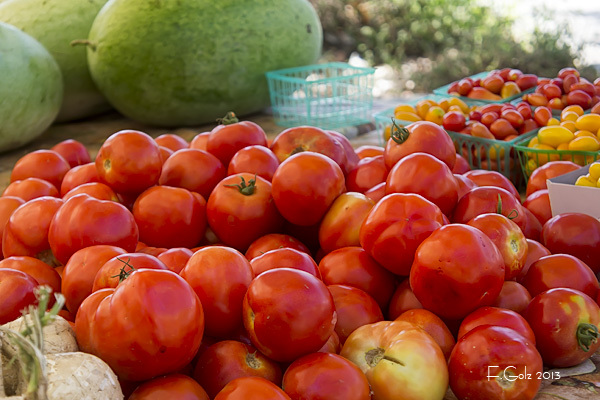 I liked the greens in contrast to the red tomatoes which were my main subject in this composition. In order to show this I had to make the red pile of tomatoes real big and cut off part of the melons. Enjoy and don’t forget to eat some fruits and veggies and most of all take some great images over the week-end! 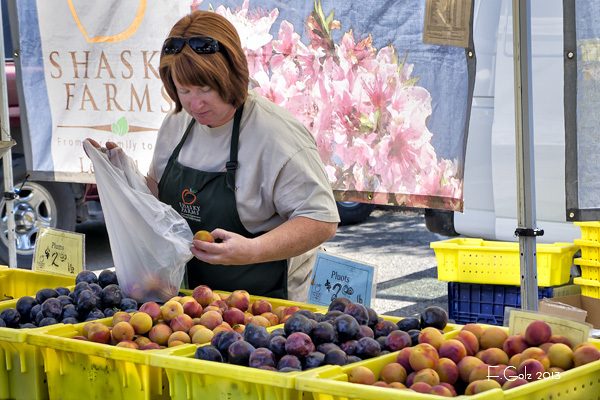 When you are going to a farmers’ market you are looking for some local grown fresh produce. I had to show some of the produce like these roots. As a background I had the table and a few tomatoes out of focus which gave me a nice color contrast. I had to focus on the largest root and put it slightly out of the center of the image. The lady does not look into the camera. She is packing fruit for a customer. There is a clear relationship between her and her product. The produce in the front is very colorful and inviting. Look at me and more important buy me. Letters always draw attention. My eyes go to the “Buy Local” and then they wander to the two scales in the background. 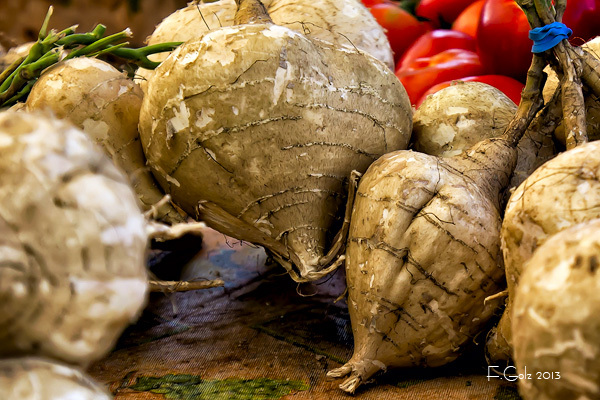 The table with the fresh produce supports the movement of the eyes. 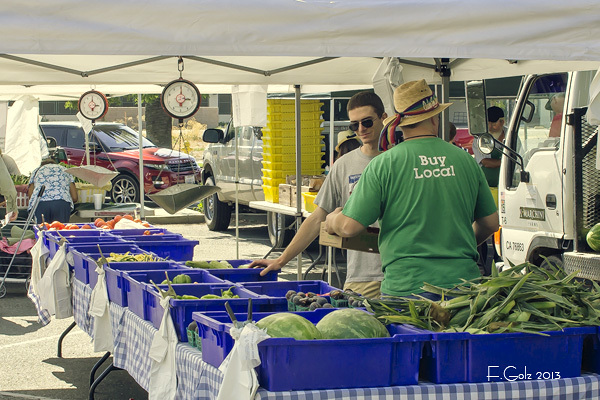 This week I challenge you to go out to a local farmers’ market. you will find interesting people, lots of colors and some great images ready to be recorded. 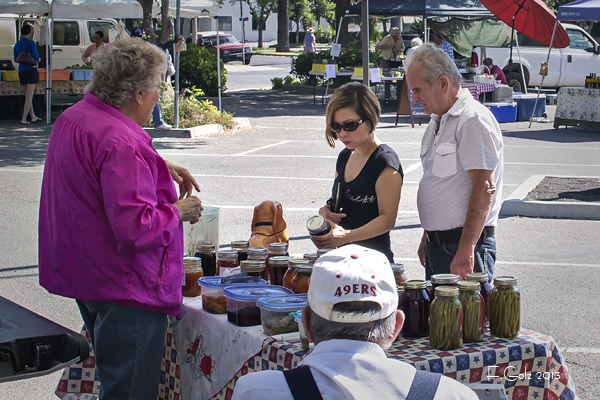 I visited the local farmers’ market on a Saturday morning. I took my small system camera instead or the relatively large DSLR. Nobody asked me what I am doing or if I am a reporter? I just had a lot of fun recording differents scenes and people shopping for produce. Don;t forget to enjoy this exercise!